The thyroid gland has a big job in the human body. It influences almost all of the metabolic processes in your body through the hormones it produces. But like any body part, our thyroids can be affected by thyroid disorders, and the most common involve abnormal production of thyroid hormones. There are two types of thyroid disorders that cause abnormal hormone production. They are hyperthyroidism and hypothyroidism. Each are more common in women, people with other thyroid problems, and people over 60 years old. Treatment for thyroid disease depends on the underlying cause. Thyroid disorders and diseases are nothing to ignore. If you are concerned about thyroid disease, visit a FastMed Urgent Care near you to be seen by a medical professional. 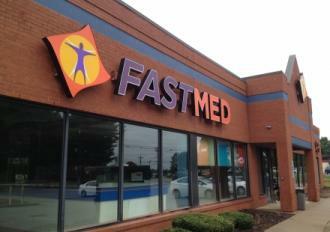 Our staff is dedicating to providing patients with fast, high-quality care, all at an affordable cost. A medical professional will discuss your symptoms with you, then recommend appropriate testing and treatment options.